Over the last few years many Brits have gone property crazy, snapping up buy-to-let homes like they’re going out of fashion. And while many property investors have done well out of the boom, there’s no denying the fact that the competition for suitable properties is getting ever tougher. In short, competition for those traditional stalwarts of the property investment market – new-build apartments and starter homes aimed at affluent young professionals – is driving down yields and making it ever harder to construct a cashflow-positive deal. While hotel room investment opportunities tend to come and go at breakneck speed, they can represent an alternative, and rather exciting, property investment opportunity. On the one hand your hotel room will be professionally managed and maintained by the hotel in question, as you benefit from the hotel’s marketing expenses. On the other hand, this is an investment which offers benefits besides the obvious financials. As the owner you can book your own hotel room on request, in essence giving you free hotel stays at will. In contrast to apartments and houses, with their longer tenancy agreements, it is much easier to enjoy your own property at short notice, while still earning a healthy income when you’re absent. If you want to learn more about such opportunities, you’ll need to keep your ear to the ground and be ready to take action when the limited number of opportunities arise each year. Ideally you’ll want to join the mailing lists of companies who are known to deal in such commodities to ensure you’re at the “front of the queue” as new properties are listed. While the “buy-in” for commercial property may be higher than many residential investments, competition for such properties can be much lower. Additionally, having a profitable company as a long-term tenant, rather than a private individual, can often be a far lower-risk investment opportunity. Generally speaking you’re unlikely as a private individual investor to prosper alone; instead its often a good idea to investigate syndicates which pool the capital of multiple investors to grow a more sizeable war chest for commercial acquisitions. There are a range of active syndicates but be sure to do your due-diligence before committing any funds to such a company. In case you hadn’t noticed, there’s been a quiet revolution going on in the world of universities. Not only are there more students than ever before, but students are also becoming ever more demanding about their student digs. Gone are the days of “Young Ones”-style damp flats, with many attendees (especially mature students) expecting a far more civilized home environment. To help meet this ever-growing demand, some savvy investors are sinking money into upscale student accommodation investments. If you opt for this route, there are two possible sources of student property. The first is to buy an existing property and to spend the necessary money on transforming it into suitable student digs. The alternative, which can save considerable time, is to buy so-called “student pods” off professional student property investment companies. Parking is big business in Britain’s ever more car-heavy culture. Commercial parking sites have the potential to earn healthy returns with yields of 12% or more often promised. As a fully-managed investment such an asset requires minimal time, though be aware that your money will often be locked up for a set period of time. As a result, you’ll want to be confident that you won’t require your funds for some years into the future. 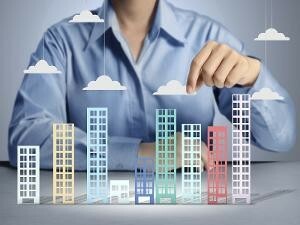 As you can see, your property-investment activity doesn’t just have to focus on typical residential properties. Instead, the experienced investor may seek to hedge their investments, and seek healthier yields with a range of other less well-known investment opportunities. What Is Your Best Ever Investment?